Food and particularly night feedings, can be a really emotional topic for parents. I get it. Food is love. Feeding is nurturing. I feel it when I open the refrigerator when I’m stressed (I’m working on it! ), but I especially felt it that time when I had a little, sick baby. The daily weigh-ins were emotionally charged, like I was getting a numerical grade that assessed my parenting. Eventually, everyone was pretty healthy and growing but no one was sleeping well. Night feedings can (and did, in our case) hold us back from having healthy sleep habits. Remember it becomes biologically appropriate to begin to prioritize sleep at night and feedings during the day. Generally, I see this point between 6-9 months of age. There’s always outliers… the munchkins who are ready to wean earlier, or happily keeping a night feeding later. But that’s my completely unscientific, anecdotal observations: 6-9 months of age is when night feedings can become problematic. Persisting with keeping night feedings beyond 6 months, is unsuccessful more often than it’s successful. Baby isn’t awake at the beginning of the night This is the most common and one of the most important considerations. You can’t expect your baby to fall asleep on their own in the middle of the night if they’re nursing, pacifying, rocking, bouncing, etc… to sleep. Falling asleep is a skill which needs to be practiced. If you’re doing it for them, they’re not learning to do it independently. Give your kid a chance to practice and hone their sleep skills. Putting your child to bed too sleepy or drowsy, but anticipating they’ll stay asleep all night without your intervention, is setting up for failure. It’s the equivalent of expecting your child to knock it out of the park when they’ve missed batting practice. Your baby is just not ready Ideally we would have caught this in Part 1, but yes, it can happen that you’re going to try to pull out night feedings and they’re just not able to do it yet. Back off, revisit in another month. Baby is not eating enough in the day Is something preventing your child from eating well during the day? Sometimes it’s other kids or their environment distracting them, or maybe they’re just in a habit of eating more at night than during the day. Revisit Part 2. We have to build hunger in order to encourage better eating during the day. (This doesn’t count nursing newborns who are eating more during the night to promote milk production). Baby is eating too much during the day Consider how dense those calories are during the day. Just because baby is filling up on purees doesn’t mean they’re going to be satiated. I looked at some PC Organics formula and PC Organics Butternut Squash puree. The prepared formula was 68 calories/100 mL while the puree was 33 calories/100 mL. Baby food is high fibre (leaves you feeling full), but calorie light (makes you hungry later). Solids are fun and it’s great to encourage them. But don’t let them limit your reliance on the other calorie rich sources of nutrition you had been offering. Parents are often very concerned about starting solids before night weaning. But the math tells us displacing formula or breastmilk for purees isn’t going to give them more. And if someone is telling you to add a bit of cereal to their diet at 4 months of age, please check the calories and do the math yourself. If the breastmilk or formula you are displacing is being replaced with something less calorie rich, that math doesn’t work for me and likely won’t work for your child. You’re preserving 1 or 2 feedings Sometimes baby wakes and you feed. Sometimes baby wakes and is obligated to go back to sleep. That my friends, is an inconsistent response. That is a reason for babe to keep waking. If I hit the lottery every 3rd time, I’d keep playing the lottery. If you’re trying to preserve only one or two feedings, but are having multiple wakings, revisit Part 1, and carefully consider responding in a consistent manner. Parent (mostly Mama) guilt Many of my families are professionals who are back to work quickly after having their child. With this situation, parents can unwittingly sabotage their own progress because they’re hanging out for extra snuggles, addressing each sound/movement and generally feeling conflicted about responding at night because it’s the only time they spend with babe. It’s ok to feel conflicted with this aspect of your parenting. In fact, I’d call it pretty normal. Let go of plans to night wean until you feel like you’re completely ready. Consistency matters. Wrong person is soothing Hey nursing Mamas, this one is for you. Are you sure you (and your milk-filled bosoms) should be attending to night wakings if you ultimately don’t want to feed? Is that fair to go in their room? Even newborns know how to root for a breast… your older baby definitely knows what’s under your shirt. Is that a tease? Is this a job better suited for your non-nursing partner? Send ’em in, tell ’em I said so and try not to look too smug when you do it. That concludes my series on night feeding. Unless you can think of other aspects of night feeding you’d like me to blog about! Comment below with any of your experiences with night weaning or other ideas for blog posts you’d like to see. Krista is a mother of 3 (+1 dog who believes she’s people), a wife to a wonderful husband, and the owner and founder of Sleeperific. Even though she’s been in the sleep consulting biz for 4 years, she still feels excited and honoured when she’s hired by a sleepy family. But infants turn into older babies who are more capable of eating well all day and less at night. When do night feedings become unnecessary? When is it more of a habit than a necessity for survival? First and foremost, I always recommend collaborating with your medical doctor. They have been monitoring your child’s growth and development and will be able to offer insight into your particular child’s unique needs. Is baby healthy, growing well and hitting developmental milestones appropriately? 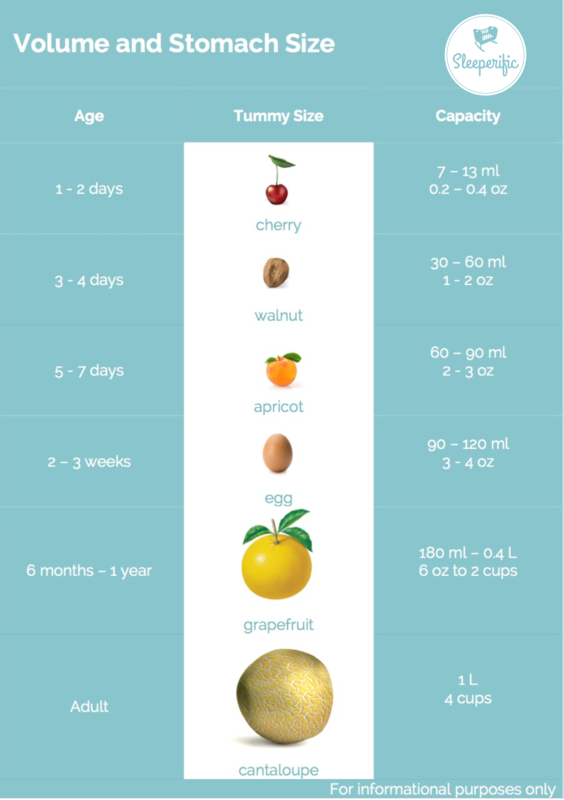 If you’ve started solids, is baby accepting those well? If the answer is no to any of the above, ask yourself if the night feeding limiting your child’s ability to sleep? If the night feeding isn’t working, is it necessary to keep it? There comes a point where you can help your child prioritize sleep at night and prioritize eating during the day. These are important strides in self-regulation. Self-regulation refers to several complex processes that allow children to appropriately respond to their environment. There are many experts in child development that suggest self-regulation in eating and sleeping patterns are some of the first to emerge in children. Skipping these important first steps in self-regulation can impact a child’s ability to self-regulate in thoughts, emotions and behaviours in later life. There isn’t any one-size fits all approach to take. I don’t think there’s a cut off that “every baby” need to be fed through the night until they’re 12 lbs, 4 months or 1 year old. Stay tuned in the coming weeks for further posts on how to eliminate night feedings and why night weaning isn’t working for your family. Owens, Judith. “The Assessment and Management of Common Behavioral Sleep Problems in Children.” The Hospital for Sick Children, Toronto, ON. 6 March 2015. Keynote Address.